Two YouTuber duos scored impressive debuts this week with the launch of new podcast ventures — illuminating the unique role that digital creators can play within the burgeoning medium, as well as their magnetic ability to port engaged followers to new platforms. Alisha Marie McDonal and Remi Cruz’s gossipy Pretty Basic podcast, launched last Wednesday, as well as Grace Helbig and Mamrie Hart’s This Might Get Weird — an audio-only resurrection of their cancelled YouTube talk show — peaked at the No. 1 spot overall and No. 2 spot in the ‘Comedy’ category on the U.S. iTunes charts this week, respectively. 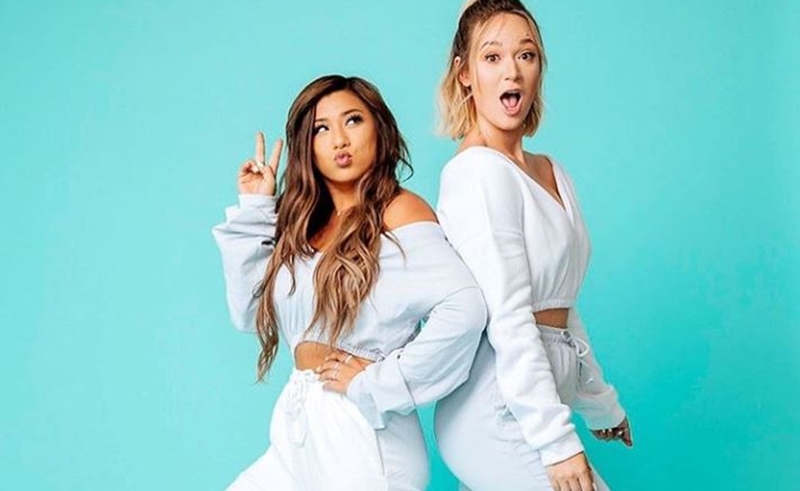 McDonal and Cruz, two best friends and lifestyle vloggers with a collective 24 million followers across all social platforms, dish on YouTube life behind-the-scenes in Pretty Basic, which is currently at the No. 2 position on iTunes. However, the show — which comes care of Ramble, a venture formed by talent agency UTA and podcast company Cadence 13 — did hit the No. 1 position temporarily yesterday, though it has since been supplanted by Rachel Maddow’s Bag Man. Pretty Basic remains in the top position in Australia, the U.K., and Canada. For their part, Helbig and Hart’s This Might Get Weird peaked at No. 2 yesterday on the ‘Comedy’ charts, and is currently sitting at No. 18 overall. This isn’t Helbig’s first podcast venture, either. Her long-running Not Too Deep, with co-host Jack Ferry, is billed as a silly and superficial interview series. In the first episode of This Might Get Weird, Helbig and Hart said that — unlike McDonal and Cruz — they don’t intend to discuss their lives as YouTubers. Instead, they had a free-flowing conversation about their fear of dying alone by choking on a Werthers candy, the time that Helbig got painfully trapped in a Rent The Runway dress, and the religious identity of Hart’s rescue dog, Beanz. You can check out the first episode of Pretty Basic here, and the inaugural This Might Get Weird right here. Subsequent episodes will roll out weekly.